Smart Padala, launches its newest campaign with Angel Locsin as its brand ambassador as part of efforts to further strengthen its leadership in the remittance service industry. 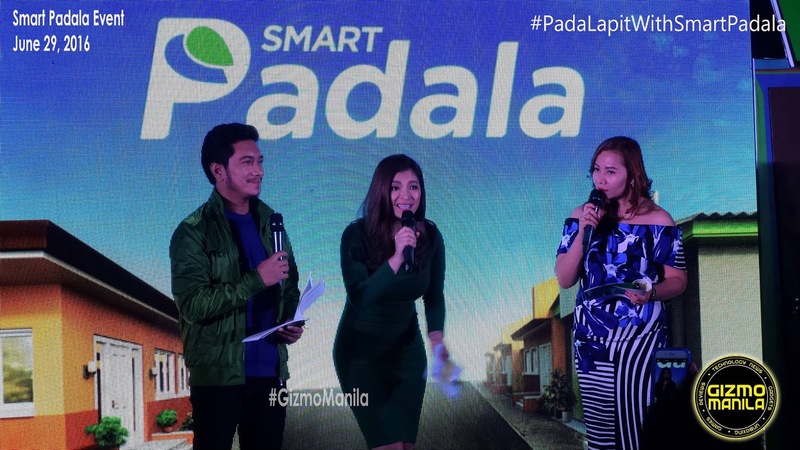 The new campaign aims to reinforce the brand message of Smart Padala which is PadaLapit. Sending money is now fast, hassle free and secure. You dont need to travel far when you can send money on the nearest Smart Padala center. More photos about the Smart Padala Event. Based on data from the first National Baseline Survey on Financial Inclusion released by the Bangko Sentral ng Pilipinas mid-2015, it is estimated that on average, Filipinos take around 22 minutes to reach the nearest financial services touch point. It also costs an average of P43 for a roundtrip fare. Now with 15,000 Smart Padala centers nationwide, there is a Smart Padala center in almost every municipality so users do not need to travel, spend for the fare, and consume time just to send or receive money remittances. Smart Padala makes home feel closer by sending the remittances of family breadwinners to their loved ones in the most accessible, convenient, and secure manner. These centers include the recently launched Smart Padala International flagship stores that enable Filipinos to receive the remittances of their loved ones abroad. “I’m proud to be the new ambassador of Smart Padala. Naniniwala ako sa brand dahil malaki ang naitutulong ng Smart Padala sa mga manggagawa at pamilyang Pilipino. By representing the brand, I hope to help in Smart Padala’s mission to uplift more lives and communities,” said Angel Locsin. PadaLapit Lang with Smart Padala! With 15,000 Padala centers nationwide, sending money to loved ones anywhere in the country can be as simple as buying mobile load from a nearby sari-sari store. To make mobile money more inclusive, Smart Padala launched last year its Pick-Up Anywhere service, which allows users to send money to anyone, regardless of mobile network, to be redeemed at any Smart Padala center nationwide. It also launched promos such as Padalang Padalow for lower customer service fees and incentives to Padala partners. Get discount when you send money P3001 pesos up. visit www.smartpadala.ph and like its official Facebook page, www.facebook.com/SmartPadalaPH.